Styled with dope dyed trackpant and calf sock . Summer = crop tops. 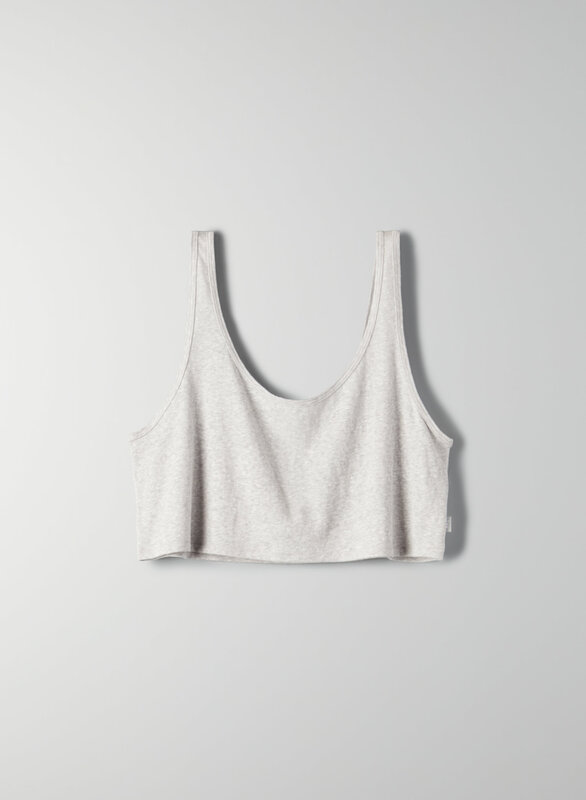 This is a relaxed, scoop-neck cropped tank made from a drapey jersey cotton-blend fabric.